On this episode, we hear an account of the great Croyland (or Crowland) Abbey fire of 1091, purportedly written by the abbot at the time, Ingulf. Just wanted to let you know I discovered your podcast yesterday, and between cooking, doing the dishes, and going jogging, I’ve now listened to all five episodes plus the intro episode. Great stuff! Can’t wait to hear the next one. The long excerpts from medieval texts are wonderful to listen to, and your intros and follow-on commentary make the excerpts even better. Keep up the excellent work! We liked our answers to the riddle better: What freezeth never: Fire. or Time. Hot water??? boo. haha! Ingulf (or whoever wrote that description) was incredibly poetic in his description of everything that burned. 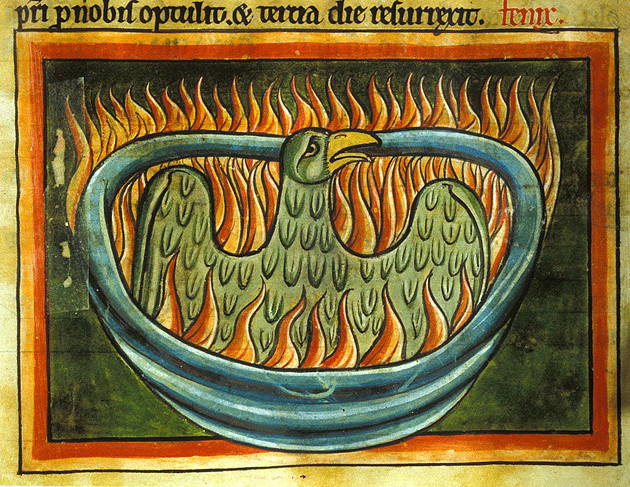 ‘Vomiting fire’ is wonderful imagery. We just watched Pillars of the Earth a couple months ago and could not help but think of it as we listened to you read. The Abbey fire was so much worse… awful. Thanks for these podcasts! I know I’m coming to this very late, but I’ve just discovered your podcast and I’m already hooked. Just had a quick question about this potential burning of Croyland Abbey… do you know if there is any archaeological evidence of burning at the site? I know it’s unlikely that any excavations could be justified by the puzzle of the fire alone, but I did find information online (historicengland.org.uk) about small scale excavations which showed evidence of “underground architectural features”. The document also describes the medieval remains of the abbey’s monastic buildings: the abbey church, cloister, chapter house, frater, kitchen, abbot’s lodging, guesthouse, lay brother’s hall, infirmary etc. It also points to finds of timber and hearth remains found in the area of these remains and earthworks when gravedigging. I can’t help but wish that some evidence of a fire in the 11thC could be found; that would certainly add an extra interesting element to the controversy of Pseudo-Ingulf’s Chronicle! Also, just found out that Hereward the Wake, with whom I’m fascinated after reading Paul Kingsnorth’s ‘The Wake’, was a tenant of the abbey in the 11thC. Thanks for the fab podcast. I’ll be racing to catch up! I haven’t looked specifically into the archaeological evidence for fires at Croyland, though based on the abbey chronicles I’ve read, it’s the rare abbey that hasn’t had at least a couple of major conflagrations in its history. But, indeed, if there were zero evidence of a fire or rebuilding in that time period, that would certainly bolster the “fabricated narrative” argument considerably. And I’m in the middle of reading “The Wake” myself at the moment! Oh, and surely the medieval answer to what freezeth over never, would be Hell? !